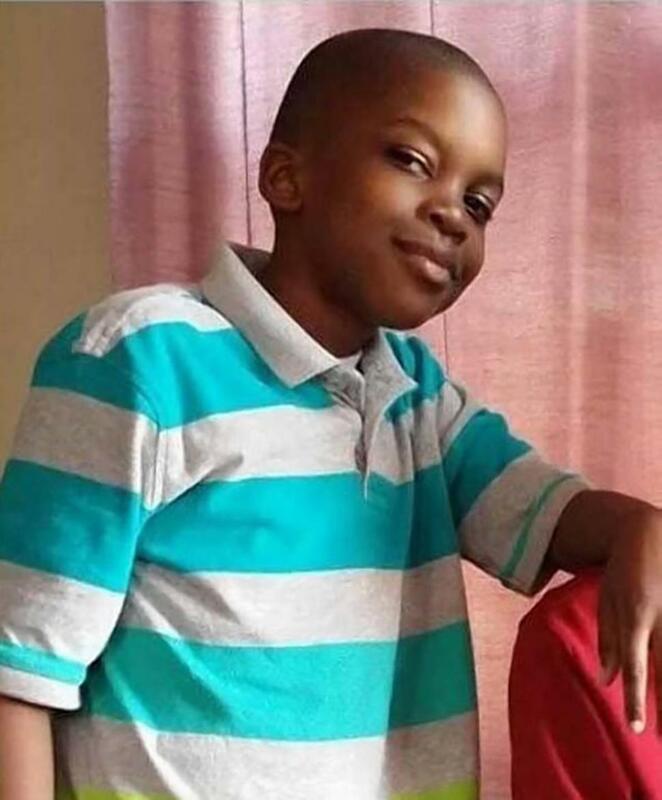 A nine-year-old Chicago boy was executed in a back yard in broad daylight after he ran outside upset because he could not have a cupcake. Antonio Smith was shot multiple times in the chest Wednesday afternoon around 4:30 p.m. outside his South Side apartment building, according to police. His killer still has not been found. The young boy became enraged when his mother had earlier told him he could not have the treat, according to the Chicago Sun-Times. He ran outside without shoes on. His mother could not find him. Twenty minutes later the police were knocking on her door. "He got mad because I didn't give him what he wanted," devastated mother Brandi Murry, 34, told the paper. "My baby, he was a good kid. He was a mama's boy. He stayed up under me. He called me every day. I'm at work, 'Mama, I love you. Mama, can I have this. Mama, can I have that,'" she told WLS. "My boy, he was just an angel." That angel was taken away from her and stepfather Kawada Hodges. "I love my city, but the city took something from me that I love even more. And that was my son. That was my little guy right there," Hodges told the station. "We called the police," Murry told WLS. "I said, 'I want to report him missing.' Maybe five minutes later, the police came to the house. "They asked me to show a picture of him. Once I did that, they told me to come to the hospital." Smith was rushed to the hospital with bullet wounds to his chest, arms and hands. One of the bullets struck his heart, Murry told WLS. He was pronounced dead an hour later, two weeks before he was to start fourth grade. "We just got him a football. We just put him in football," Hodges continued. "Nine years old. You took that. You all see that? You all hurt me." Police admittedly have no leads. A $13,000 reward is being offered to find the boy's killer. Nicknamed Duke and hamburger, after his love of the food, Smith loved dancing to Chris Brown songs, his mother told the paper. He also loved telling jokes, she said. "All he did was joke and laugh and play."